If you are having a small organization you probably do not have the budget to hire your own photographer. You even might not have the budget to buy the biggest and best images from Online Stock Photography sites. Based on the budget constraints you are looking for the Cheap Stock Photos. Of course without sacrificing on quality. But where can you find these cheap stock photos. Using the search engines you find the most popular Online Stock Photography sites. These sites are not known for the cheap stock photos. But they have a lot to offer. Not every photograph in the library is expensive. And the price to be charged for the photograph also depends on the size off the image you buy. If you do not need the real big images, even these most popular sites can offer you cheap stock photos. Maybe you have to look a bit longer to find these images. 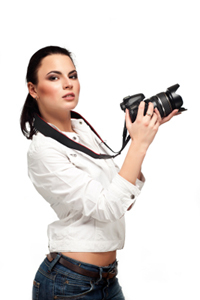 Photographers that just joined the online stock photograph also have pictures in attractive price ranges. These cheap stock photos might have some drawbacks in using theme. Sometimes the quality is not good enough for using them in glossy magazines. Not due to lack for pixel quality but more out of poor composition. Mostly the real cheap images are sold on a CD Rom or DVD. Then you will get a lot of pictures at once. And having a lot of images available the changes arte high that you will only use a small number of them. As a result the images used might not cheap at all. Another risk for Cheap Stock photos is the number of times the images are used. You run the chance that these images are located on many different web sites. Sites that might have lower quality levels than yours. This might have a negative impact on your brand. Be very picky in the Cheap Stock Photos you will use on your own productions. Be selective and only choose for the best composition and the higher quality levels.